PRIMACYT Cell Culture Technology GmbH is a provider of hepatocytes and related products for cell research. Founded in 2004, today the Company is privately held together with GENIUS Venture Capital GmbH as institutional minority shareholder. 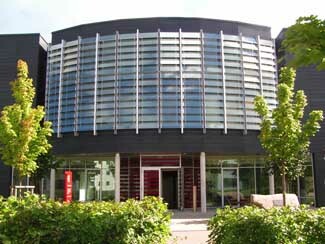 The Company is located at the Schwerin TGZ – Technology and Industrial Centre. •	Helping society to reduce animal experiments, monitors the risk of new drugs and of genetically modified food. •	Developing PRIMACYT to the leading supplier and contract research organization for pharmaceutical, biotechnology and plant biotechnology companies, offering state of the art in vitro models for pharmaceutical research and food safety. PRIMACYT offers a variety of in vitro technology services. Main products are hepatocytes, serving as biosensors for pharmacological and toxicological analyses of drugs and xenobiotika. PRIMACYT offers contract research services as well as primary human and animal cells. The Company is involved in basic and applied research mainly in the production of human hepatocyte cell culture systems. These serve as alternatives to animal experiments. In 2008, PRIMACYT has received the 27th Research Award by the German Ministery of Nutrition, Agriculture and Consumer Protection for the promotion of methodical work towards the stated goal of reducing animal experiments and replacing them with alternate methods.